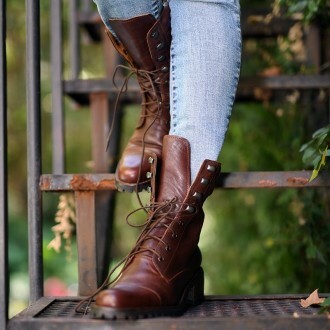 Women’s short leather boots with front zipper. Easy to wear. Handmade in vegetable tanning cow leather. 2 inches heles. Rubber sole. IKK zipper. Lined in cow leather. High quality shoes handmade in Argentina. Shop at our stores or online.